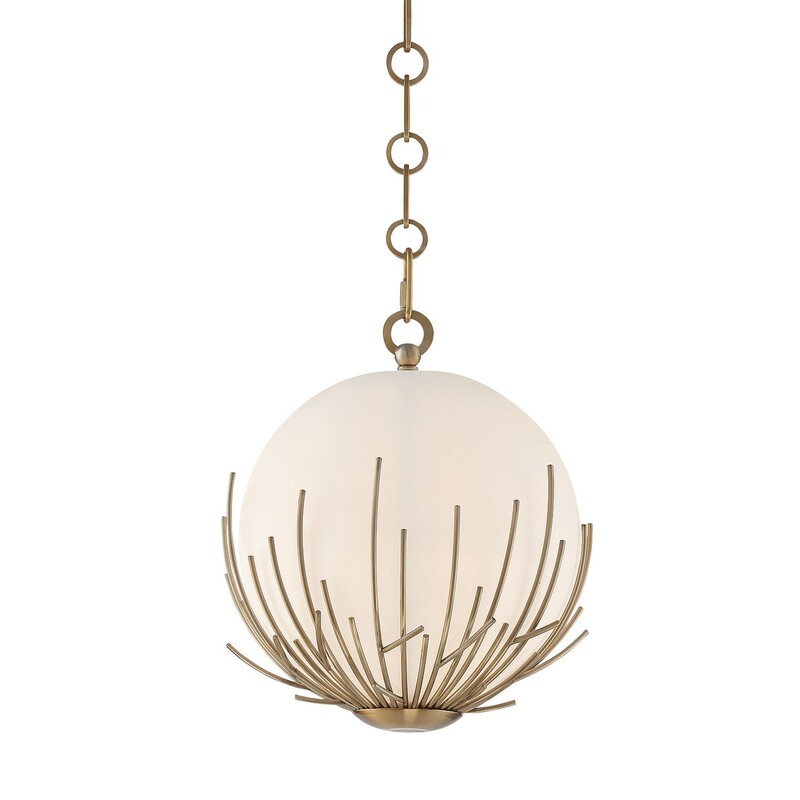 This stunning pendant features Wispy tendrils in satin brass surround a glas orb. Let this light create beautiful ambient lighting in any room. Available in 2 sizes 10" and 18" diameter. Large features 5 60W base bulbs (not included). Regular features one 60W bulb (not included).